Kiowa County is a county located in the southwestern part of the state of Oklahoma. Based on the 2010 census, the population was 9,446. Its county seat is Hobart. 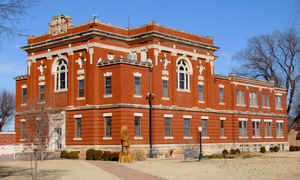 The county was created in 1901 as part of Oklahoma Territory. It was named for the Kiowa people. Named from the Indian tribe. The name is a corruption of the name "Ka-i-gwu," meaning "principal people." In 1892, the Jerome Commission began enrolling the Kiowas, Comanches and Apaches to prepare for the opening of their reservation to settlement by whites. Dennis Flynn, the territorial representative to the U. S. Congress, proposed holding a lottery for opening the reservation. He argued successfully that the lottery would be safer and more orderly than land runs used earlier. Individuals could register at offices in Lawton or El Reno. 165,000 individuals registered for 13,000 160-acre claims. The drawing was held August 6, 1901. 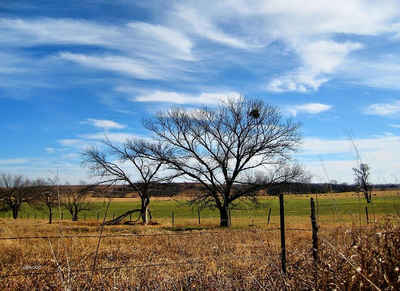 After the opening, the area was designated as Kiowa County in Oklahoma Territory. The town of Hobart, named for Vice President Garrett A. Hobart, was designated as county seat. By 1908, residents of the southern part of the county were already agitating for a new county to be formed. In 1910, Governor Charles N. Haskell proclaimed that parts of Kiowa and Comanche Counties would become the new Swanson County. The new county became defunct in 1911, after the U. S. Supreme Court voided the change. As reported by the Census Bureau, the county has a total area of 1,031 square miles (2,670 km2), of which 1,015 square miles (2,630 km2) is land and 15 square miles (39 km2) (1.5%) is water. The county is largely composed of flatlands, although the southern border is covered by the Washita Mountains. The North Fork of the Red River serves as the southern and western boundaries of Jackson County. Water bodies include Altus-Lugert Lake on the and Tom Steed Reservoir on Otter Creek. Other streams in the county are the Washita River and Elk Creek.